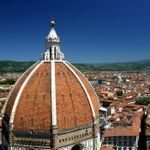 From Northamptonshire to Italy's Bay of Naples, Kirker Holidays’ exclusive music festivals give lovers of classical music the chance to enjoy their own private performances, as well as meeting the artists. It also runs escorted tours to visit Europe’s most important classical events, some with no single supplements. Our range of escorted music holidays has grown increasingly popular with single travellers, who enjoy spending their holiday in the company of a small group of like-minded companions. Groups typically consist of 12 to 22 participants, accompanied by an expert Kirker Tour Leader – carefully selected not only for their exceptional knowledge of the music and the destination, but also for their friendly and sociable personality and ability to engage all members of the group. Kirker’s programme of music holidays includes visits to a number of Europe’s most important music festivals and events, from the Verona Opera Festival and Austria’s Schubertiade, to opera weekends in Milan, Venice and New York. 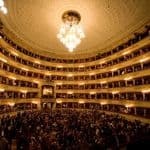 Carefully-selected tickets – usually in the Stalls – are included for each performance, and there is also a programme of sightseeing which takes in the most important local monuments, galleries or museums, as well as some lesser-known sights and venues which are not normally open to the public. All transport arrangements are included, as are a number of group meals in local restaurants during each holiday. In addition, Kirker organises a series of exclusive Kirker Music Festivals each year, in locations around the UK and abroad. 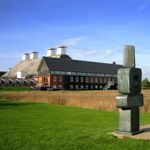 These exclusive festivals include highly-acclaimed musicians who perform a programme of chamber music which is not available to the public, and there is an opportunity to meet artists personally. The artists enjoy building up a rapport with the same audience over a series of evenings, and many clients particularly enjoy dining with the musicians after the performances. Kirker Music Festivals at Sea are a unique opportunity to enjoy the atmosphere of an exclusive Kirker Music Festival whilst sailing between fascinating ports of call. 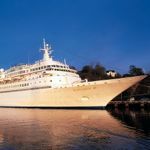 These have also proved particularly popular with those travelling alone, who enjoy joining a group of fellow travellers for a special itinerary including selected shore excursions and a series of private concerts on board the ship each evening. Kirker’s full range of Cultural Tours includes holidays with a focus on art, architecture, history, archaeology or gardens, all of which are well-suited to the single traveller – including some with no single supplement. Find out more about Kirker’s music and other cultural tours. * See the review about Kirker Holidays.